You Are Here: Home / Blog / lawn care Omaha / organic lawn care / Organic lawn care: what’s the big deal, anyway? If you live in the Midwest, you know someone–or perhaps even your own family–who has been affected by the recent flooding. Outside of the devastation that it’s caused thousands of families and businesses, flooding can have a greater impact on nature because of common use of traditional pesticides. But making the switch to organic lawn care in the Omaha metro means more than just ditching the chemicals in your lawn care fertilizers. Chemically-engineered pesticides are often used in traditional lawn care fertilizers to kill weeds and/or rodents. Pesticides are herbicides, fungicides, and various other substances used to control pests. While there are regulations to keep pesticides out of waterways, pesticide residue from outdoor fertilizers can runoff to storm drains which then lead to our creeks and rivers. Interestingly enough, pesticide manufacturers are NOT required to list all of the ingredients they use in their products; they are required to list the active ingredients. Unfortunately, some of the inactive ingredients can be just as harmful–if not more harmful–than the active ingredient listed! Often times, the inactive ingredients in pesticides can adapt to their surrounding environment and break down, forming chemical reactions that are harmful to humans and pets. The 2019 flooding in the Midwest may have caused pesticides to leak from either containers or fertilizer residue that can lead to health concerns and drinking water problems. It is recommended by National Ag Safety that farmers and others who store pesticides have an action plan for proper storage and an emergency plan for what to do before, during, and after a flood. 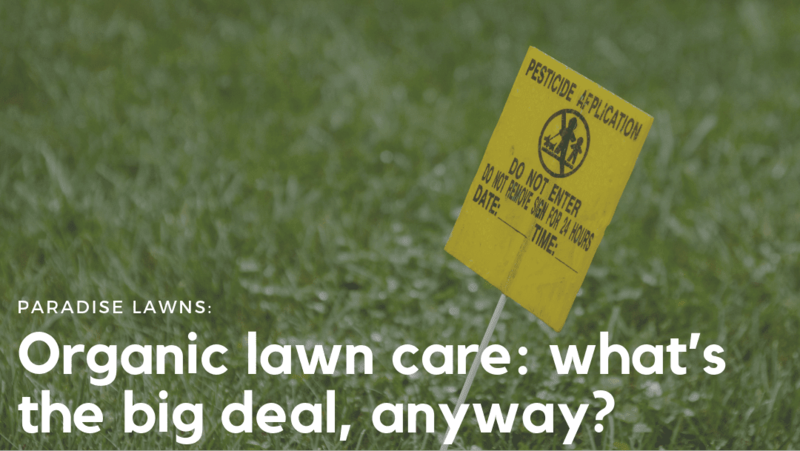 Where does organic lawn care come into play in your life? Organic lawn care means a healthy family, pets, and environment! During times of natural disasters, our use of organic lawn care can cut down on health concerns both imminently and for the long term. 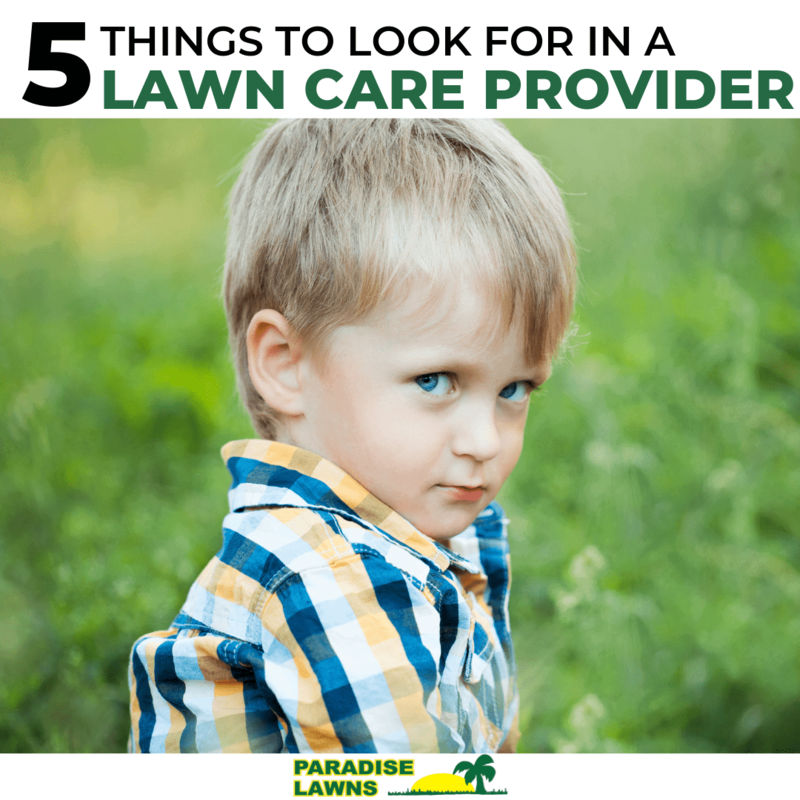 And with organic lawn care, you can have your lush green lawn without having to sacrifice both human and environmental health. Our Organic Lawn Care Program is tailored for you to improve the quality of your turf and your soil using only natural products. It is affordable, it is safe for your kids, it is safe for your pets, it is safe for your lawn, and it is safe for the environment! Organic lawn care is available in Omaha! We know pesticides are dangerous, so why do we continue to use them? If you’d like to become less chemically dependent, contact Dave TODAY at 402-612-1527 to make the earth-conscious switch to organic lawn care!